In response to the attacks on the Brazilian Amazon and human rights in the last few weeks, Brazilians are taking it to the streets and protesting. Last Sunday, there were protests against the Belo Monte Dam and the gutting of the Brazilian Forest Code in at least eight cities across Brazil, including Rio de Janeiro, Sao Paulo and Porto Alegre. The Kayapo protested in the town of Colider. While many people have seen the photo of Chief Raoni crying, he was not crying in reaction to the Brazilian government's announcement of the license to build the Belo Monte Dam. He was crying because he had reunited with a family member, a common practice among the Kayapo. "I was not crying because of the government's decision," confirmed Raoni. "I'm going to keep fighting. I am alive and strong, and as long as I'm alive I will continue to fight for my people!" I'm with Raoni! Are you? If so, take action on June 19th & 20th. The Kayapo and people across Brazil will be protesting and need our international solidarity. We're organizing a peaceful demonstration at the Brazilian Embassy in Washington D.C. We encourage you to find your nearest Embassy or Consulate and organize a protest to demand that Brazil respect indigenous rights, human rights and defend the Amazon rainforest. 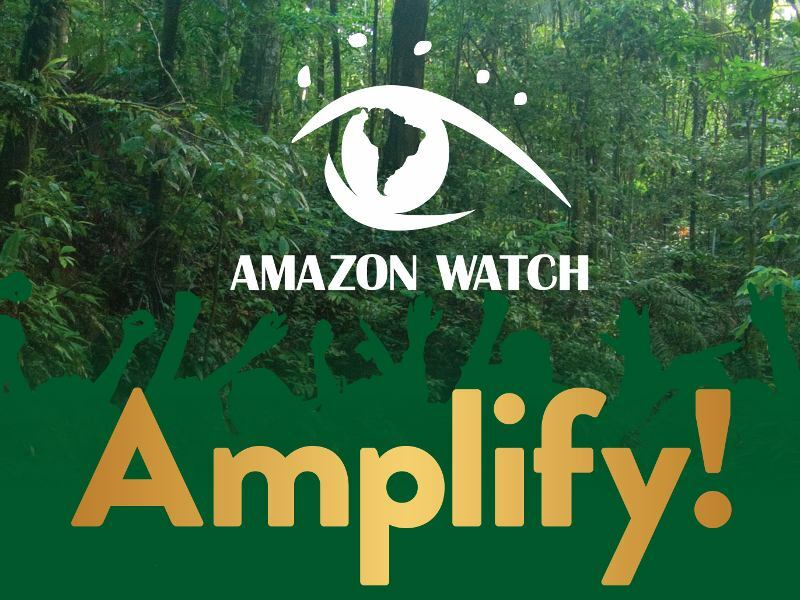 Please let us know if you'll be organizing something, by posting a comment here or by contacting christian@amazonwatch.org. Also, don't forget to join Amazon Watch and Movimento Xingu Vivo Para Sempre on Facebook for updates if you haven't already! For more info on recent protests in Brazil, read Karina Miotto's post (translated by Amazon Watch), below. Only two weeks ago, Facebook groups were calling people to participate in protests on Sunday June 5th, against two recent and polemic political decisions: The Chamber of Deputies' approval of the proposed changes for the new forest code (the May 24th), and the installation permit of the Belo Monte hydroelectric dam in the state of Pará, granted by the Brazilian Institute of the Environment and Renewable Resources (IBAMA) on June 1st. According to the Folha Journal of Sao Paulo, demonstrations took place in Rio de Janeiro, Salvador, Porto Alegre, Aracaju, Belo Horizonte, Curitiba e São Paulo, together gathering hundreds of people. In Sao Paulo, the departure point was the Museum of Art of Sao Paulo (MASP). Members then followed the Paulista Avenue, the busiest and most famous street in the state of Sao Paulo. Upwards of 200 protesters participated. In Rio de Janeiro, the protest started in Posto 9, continuing onto Visconde de Pirajá street, and bringing more than 200 people together. "I saw a lot of young people and that made me happy," said Brita Brazil, a famous Brazilian singer and protest participant. "Due to the shameful recent events – the killing of activists in the north of the country and the approval of the new forest code – people are no longer uniting for an isolated case, but because they believe in fighting for a Brazil that is just." "Whether from an environmental or social perspective, it is an obligation that all Brazilians have," Said Philyppe Motta, who was part of the Rio de Janeiro protest. "The population understands that nobody is going to fight for their rights except for themselves." In terms of the approval of the forest code, the principal points of contestation refer to the legal reserves, protected areas and the panorama of environmental regulation, in addition to the amnesty to loggers who destroyed forests until June 2008. 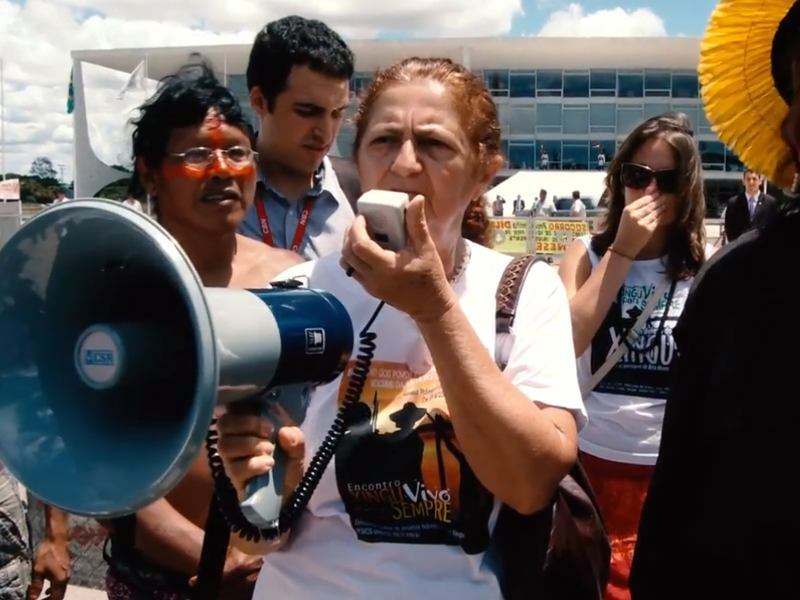 Belo Monte is criticized for the way it has been conducted. "It is full of problems" claims the Movimento Xingu Vivo para Sempre (MXVPS), and the potential of damaging consequences such as the loss of biodiversity (including endemic species), low productivity (due to the Xingu's low and high flows, the hydroelectric dam would not have enough capacity to generate the 11,000 megawatts promised), and impacts on indigenous and river dwelling communities amongst other things.